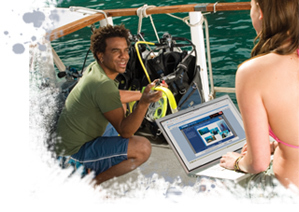 With the Open water Crew Pak you will get your Open Water Manual, Log Books, and Recreational Dive Planner (RDP). An education based training manual, essential information is presented in a clear and concise manner, with colorful photography, helpful notes and strategically placed knowledge reviews. This is a manual you will want to retain and reference throughout your diving career. Optimized for self-study, you will take knowledge reviews and final examinations in a classroom setting, allowing you to ask questions and get hands on training as needed. Pick the method that best suits your lifestyle and learning style!